This striking image is the cover of an 1950s issue (no. 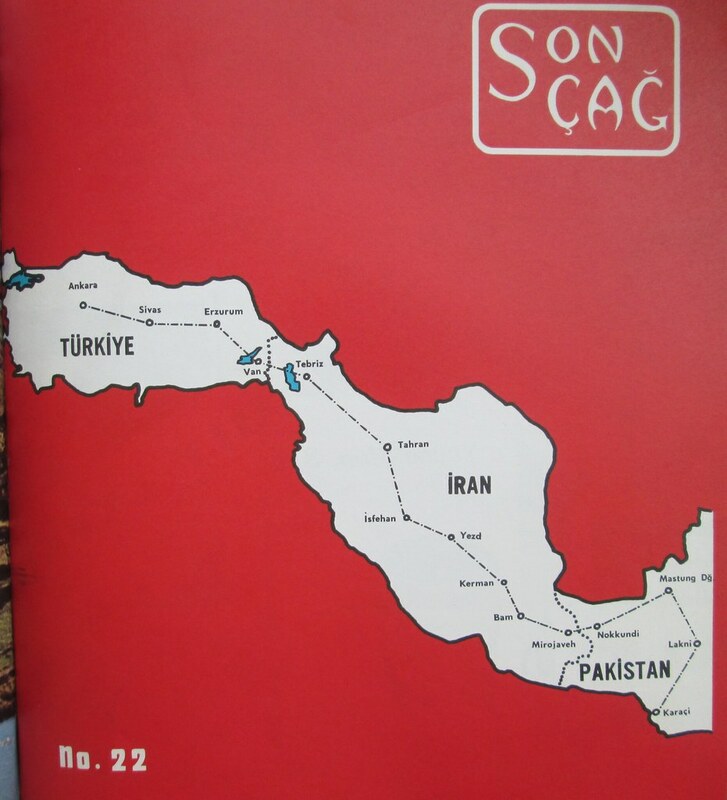 22) of Son Çağ, a United States Information Agency publication devoted to promoting US-Turkish relations, both in terms of cultural ties and Cold War anti-communism. Dramatically illustrated here is the concept of the Northern Tier, a defense arrangement in which Turkey, Iran and Pakistan were expected to prevent Soviet expansion into the Middle East. As the map shows, the Northern Tier concept replaced earlier ideas of a broader Middle Eastern alliance when Arab states proved unwilling to join an anti-Soviet alliance. Based on their colonial histories, countries such as Iraq, Syria and Egypt were more worried about the threat posed by British, and to a lesser extent Turkish, power than they were about the Soviet Union. As Syria, and after its 1958 coup Iraq, drew closer to Moscow, Turkish and American statesmen increasingly came to see them as hostile Soviet clients (See our podcast on Turkish views of Arabs for more on this). Hence the depiction of the Northern Tier as a thin line holding out against a veritable sea of red. Rather than just illustrating a particular early Cold War strategic concept, I think this map offers a partiala rebuke to a particular narrative of Turkish history that has become increasingly popular: that the circumstances of Turkey's emergence from World War I created a political culture defined by militarism and nationalist paranoia that has continued to plague the country whether in the form of the "Sevres Syndrome" or the army's involvement in politics. It's an appealing political narrative, but it leaves out at least half a century. Sure, Turkey emerged from World War One, not just the War for Independence but the CUP period as well, with a political culture marked by these phenomenon. But so did most of the world. In fact, compared to some of the European countries that really went all in on fascism, Turkey was less militarized and less intensely xenophobic in the Republican period. And to suggest that these impulses were waiting to erupt just below the surface, kept in check only by Ataturk's personal charisma, really does seem to ignore the contingency of history. In this case I would argue that the experience of the Cold War, culminating in the 1980 coup, did more to enshrine these impulses in modern turkish political culture than did the social and political climate of Turkey's founding. In connecting the dots directly from 1919 to the present, it's easy to forget that Turkey spent almost a half century regionally isolated by Cold War geopolitics. There was the Soviet Union was to the North and East, Warsaw Pact Bulgaria to the West and the Soviet-aligned states of Iraq and Syria to the South (seriously, that leaves Greece and Iran). While the Turkish military undoubtedly milked its position as "NATO's Southeast flank" and "a bulwark of the free world" for its own benefit, the reality behind these cliches also took its toll. Too often now discussions of the Sevres syndrome imply it's merely an outdated bit of paranoia that was kept alive for a hundred years by the cynically authoritarian Kemalist state. 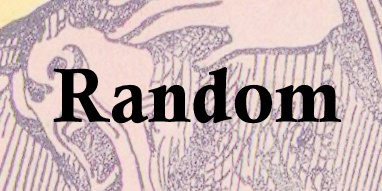 But other things happened during this time, and their impact shouldn't be overlooked.